48. 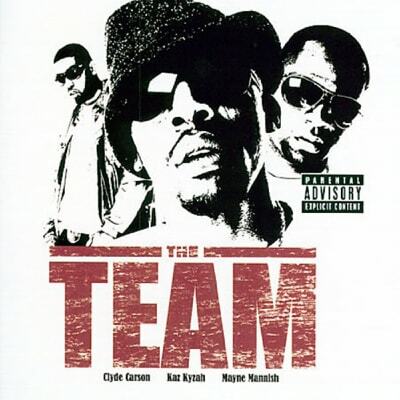 The Team "Bottles Up"
The Team, comprised of Clyde Carson, Kaz Kyzah, and Mayne Mannish, made some of the best radio- and club-friendly hyphy music back in the days when it would be acceptable to do so. It provides a nice time capsule of what could have been, had Bay Area rap blown up to be as big as people thought it would, back in the middle of the last decade. Here they tone down the ecstasy references, and made a drinking song instead, which would certainly be more acceptable to a nationwide audience. Strangely, The Team shouts out Taaka vodka—as in, "we put the aaahh in vodkaaahhhh", which they don't—in addition to other, higher-shelf liquors.